Vaulted ceilings, spacious living rooms and moss rock fireplaces are just some of the lovely details you’ll find in the condominiums at One Breckenridge Place. Located in the beautiful town of Breckenridge, these pleasantly comfortable condos are just a block away from Main Street and a short stroll from the Quicksilver Chairlift. This means you’re close to all of the popular shops and restaurants. Plus, you don’t have to go far to enjoy a fabulous day of skiing. Each condo is also equipped with a foyer that has laundry facilities, a heated one-car garage and a private deck. Therefore, you can always take in a gorgeous view of the mountains. Additionally, most units have private hot tubs. For condos that don’t include this amenity, the adjacent Upper Village offers a heated pool and hot tub access as well. By purchasing a property at One Breckenridge Place, you can also take advantage of a wide range of outdoor activities. Hiking, biking, tennis, golf, snowshoeing, ice skating and, of course, skiing are all available for residents and guests of this fantastic community. It’s really an amazing place for anyone looking for a wonderful mountain escape. Want More Info on One Breckenridge Place? As you can tell, One Breckenridge Place has so many great things to offer. If you’re interested in checking out this neighborhood in person, let me know and I can set up a tour that works with your schedule. I’m also available to look for other properties that might suit your living needs. Feel free to browse through the updated listings on my website. Then we can talk about the homes that interest you together. If you’d like to check out a different development in Breckenridge, take a look at my recent blog about Elk Ridge. That’s another Breckenridge neighborhood I highly recommend. 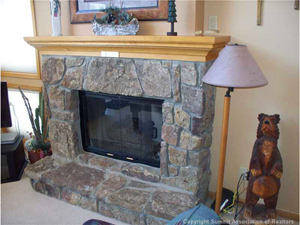 Remember that I’m open to showing you any Summit County property that meets your needs. Just let me know exactly what you’re looking for in a new home and we can go from there. Or, if you’d like to sell an existing Summit County residence, I can also help you through that process from beginning to end. Contact me at any time either via email at [email protected] or through my office lines. Please know I would love to assist you in all of your real estate needs.